Length You can attend for 2, 4, 6, or 8 weeks. Each week, you can select a different course (see below). During this course, our delegates will learn about the nature and the scope of management of international economic enterprises. Through various contemporary studies about the awareness of major challenges facing the future globalization, delegates will be able to improve their cultural sensitivity in a multicultural environment, develop skills of managing cultural differences so that international businesses can be effectively managed. This course is especially designed to educate our delegates who are interested to support the international strategy of an organization in the future. Evaluation, Creation, and Funding of new Ventures: Glamorised as an alternative career choice, entrepreneurs like Bill Gates, Mark Zuckerberg and Li Kashing are changing the world. As part of this course we will look at cases of success and failure to understand which competencies, skills, and tools are necessary to evaluate, create, and guide your own business, or to support an employer in launching and growing an entrepreneurial venture. This course discusses political economics and international relations, considering why games matter. 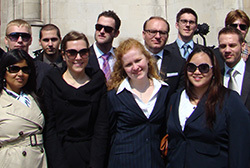 Delegates will study the main concepts of game theory and in-depth applications. Simultaneous and dynamic games will be covered, including the theoretical study of Nash equilibria of various forms, and experimental findings. Auctions in theory and practice and political economics, applying game theory in a setting of voting over the level of redistribution will also be explored. This course will familiarise delegates with current trends and look deeper at individual practices, methods and financial instruments within the banking and finance sector Students will develop an understanding of today’s markets and the forces influencing growth and recession. By looking at case studies, students will be able to identify market trends and analyse problems emerging in the market place. Innovation, Organisation, and Markets: Successful entrepreneurs, leaders, and managers understand what innovation is and how it can be generated and managed to create sustained competitive advantage. During this course delegates will look at the interplay of innovation across individuals, organisations, and markets that change the nature of competition by destroying industries and creating new ones. The course will cover five critical aspects of innovation studies: What are the sources of innovation, types of innovation, how it occurs, differs, and diffuses. The course will also look at how innovative companies like Apple and Amazon create new markets. What is it like to lead and work in a multinational corporation? This course exposes delegates to the challenges and dilemmas that managers face in multinational corporations. Delegates will learn how multinationals are organised, and what unique opportunities and challenges today’s world offers to businesses operating across different geographical, cultural, and institutional borders. The course will move back and forth between a practical and a theoretical perspective including the analysis of different international cases and multinational companies such as Toyota, IBM, FedEx, or Google. China is the new economic powerhouse of the 21st century. Many international corporations are already creating a presence in Chinese markets, either by moving production to China to save costs or marketing their products to Chinese customers in major cities like Beijing, Shanghai, and Hong Kong. Consumer and luxury brands such as Volkswagen, Apple, Louis Vuitton and Prada are notable success stories. However Ebay, Mediamarkt, Best Buy and Google have not found the same ease at market entry. On the other hand Chinese entrepreneurship is developing rapidly and Chinese brands like Alibaba, Haier, Tsingdao Beer, Huawei, or even Lenovo are seeing considerable growth. This course will give delegates an overview of the various options to start doing business in China, present successful case studies of Chinese entrepreneurs, and analyse the successes and failures of international business in China. This course explores the interaction between national economies through the flow of imports and exports, multinational firms, the role and position of the WTO in the global economy, with an emphasis on the theoretical models of international trade, global production structures, and associated policies. 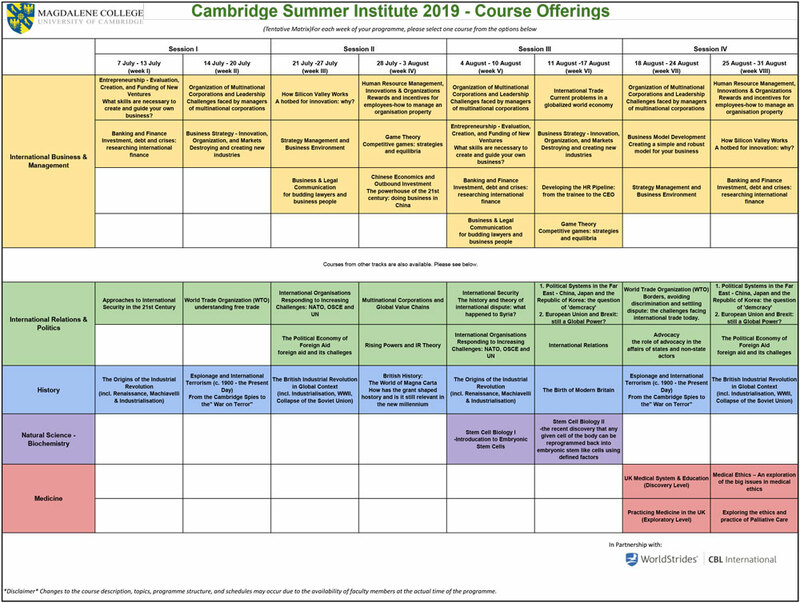 This course consists of a number of 90-minute lectures, some of which will be devoted to discussions,classroom games, and discussions of assignments. Human Resource Management, usually referred to as HR, involves everything related to the employer-employee relationship and is about supporting and managing people and associated processes. It is seen as a core business function essential to the organisation’s effective operation and survival. Most larger organisations have their own designated HR department, which allows for organisation-specific innovations in the way people are being managed. This is an introductory Human Resource Management course that aims to provide an overview of key themes and innovations in HR. It is supplemented by real life examples and hands-on sessions relevant to future people managers. This programme has been designed for undergraduate and Masters students of all disciplines, as well as early career professionals, who want to understand how the labour market is evolving and how organisations are adapting their HR strategies to remain competitive in a fast moving and ever-changing business environment. The module “Developing the HR Pipeline: from the trainee to the CEO” is an intensive and interactive week-long course designed in the format of lectures, seminars, group and individual presentations. During this course, the delegates will learn about the economic risks that underlie in each deal, and the legal means that are used towards their mitigation. Through the analysis of actual deals, delegates will be able to improve their understanding of transactional risks, enhance their commercial awareness, and learn the fundamentals of business and law. Moreover, they will learn and develop their negotiation skills in an interactive and practice-oriented manner.